MICHI is a pioneer of change in women’s sportswear by offering optimal performance and luxurious high-end fashion sportswear apparel. 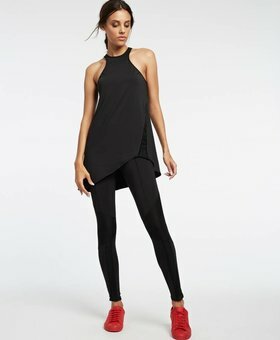 As the original innovator of edgy mesh insert and multi-strap sports bras, micromesh paneled performance leggings, and activewear cut-outs, MICHI’s classy fashion forward pieces are an ode to superheroines. 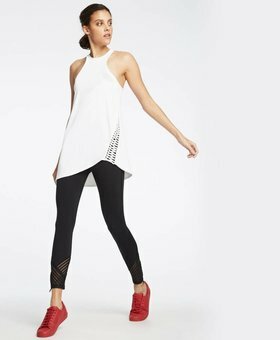 All of the collections are designed to empower women to perform to their highest athletic ability. Each style line, cut-out and mesh insert flatters and fits the body to be supportive yet comfortable with a natural feel. MICHI dresses the woman who wants to be different and stand out from the crowd. MICHI is designed for the woman who doesn't want to look like everyone else during her workout, but requires high performance clothing so she can perform to the best of her ability. She wants to feel confident and empowered during her workout. 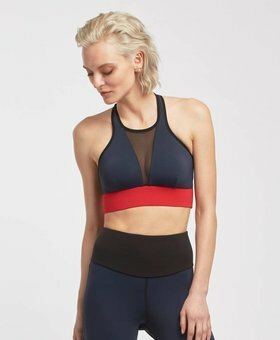 Whether she is getting into character for a dance class, harnessing her inner warrior to feel powerful for boxing, intending to feel unconstrained yet secure for yoga, or aspiring to embody an Olympian during a run or spin class, MICHI is the brand she turns to. 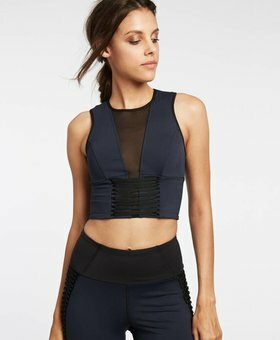 Outside the gym, the MICHI woman doesn't want to look like she’s wearing traditional gymwear but instead wants to look chic and pulled together in order to feel comfortable yet confident. 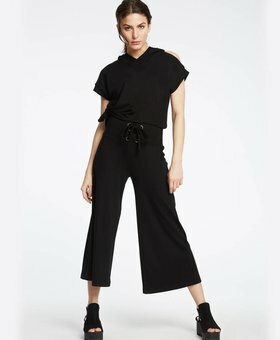 We really love MICHI, it’s absolutely high-end fashion, the styles, the fabrics and the comfort! Michi is marvelous, and with their chic styles Michi does promise what it preaches; that the gym is your runway! 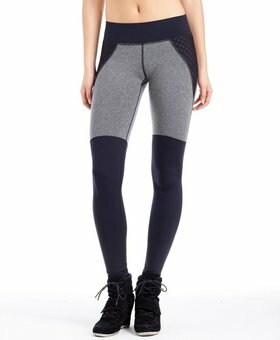 Michi is perfect for any workout and also great to get dressed in when having diner or drinks! We just can’t get enough of this beautiful brand!